Hatchimals— interactive, furry creature that hatches out of an egg and grow with care—were the must-have item for many this Christmas. Kids must coax the mystery creature out of its shell. Once out, the Hatchimal must be “raised” through three stages. Since their introduction in October, Hatchimals have flown off the shelves across the country. Desperate parents intent on buying one for Christmas had to wait in long lines, if they could find them at all. Sellers on Amazon and eBay were asking more than three times the suggested retail price of $59.99 in the days before Christmas. 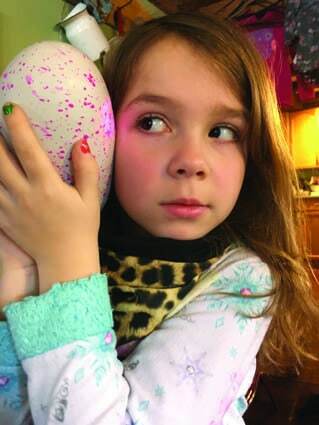 Fiona Harrington, age 6 from Rochester, was among the lucky kids to receive a Hatchimal this Christmas.